December 2016 marked the end of my 12-year love affair with London, the final half of which was spent well and truly embedded into Hackney. With that came pop up restaurants, flat whites that really are flat, seriously good food on every corner, people from all over the world, secret suppers, theatre in bunkers and cinema on barges. I guess what I’m getting at, is that London offered so much culture and excitement which I felt sure I wasn’t going to get on my relocation to Cornwall. I was coming here for different reasons; a desire to be back near the sea, to experience space, to breath fresh air, to have more time to be creative and to find enjoyment in the natural world and all its offers. What I didn’t expect was to find something that marries those two worlds. December 2016 also marked my first visit to Kudhva. It was a cold blustery day and a momentous one, as the first Kudhva was being craned onto its temporary legs. I watched with baited breath and awe at the sheer beauty of the structure and the determination and vision of those involved. 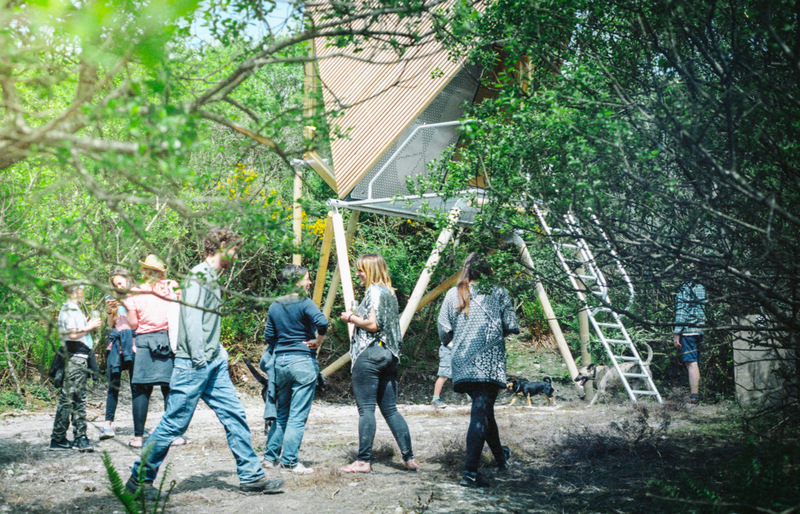 I was inspired by the landscape and the plans I was hearing for the site and I was intrigued by the people I met. Fast forward to now; the sun is shining and I’m lucky enough to still find myself at Kudhva, involved in its journey, and now being able call those intriguing people friends. It is here where I have found the marrying of those two worlds, most specifically in the form of the Kudhva Sunday Service Sessions. 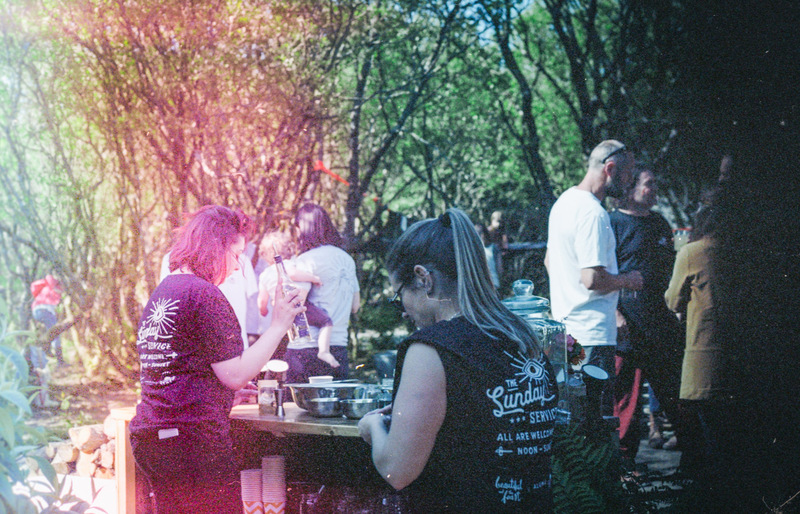 Held on the first Sunday of each month it’s a noon till sundown affair showcasing the best local DJ’s, the most delicious locally sourced food and cocktails made with botanicals from the site. 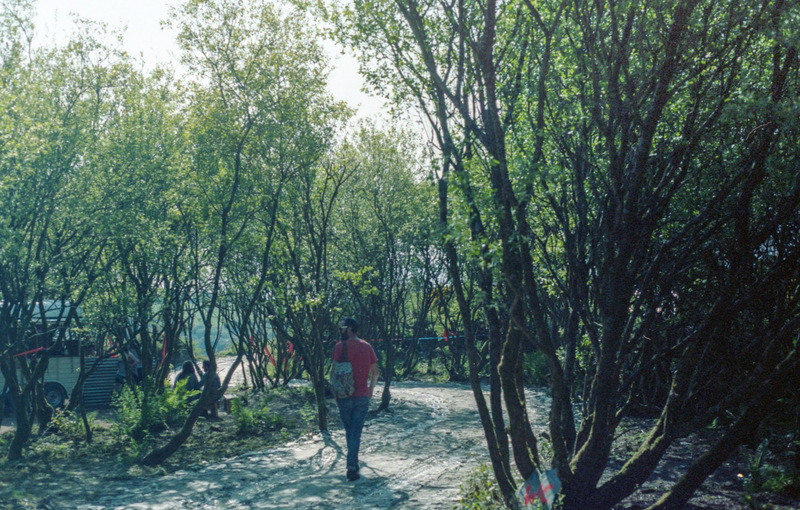 Long gone are my days of dancing in carparks, next to a tiki themed bar made of inflatable palm trees and plastic flowers, instead I find myself dancing underneath the willow groves, with rough slate underfoot, looking down the valley as the sun sets over gull rock. 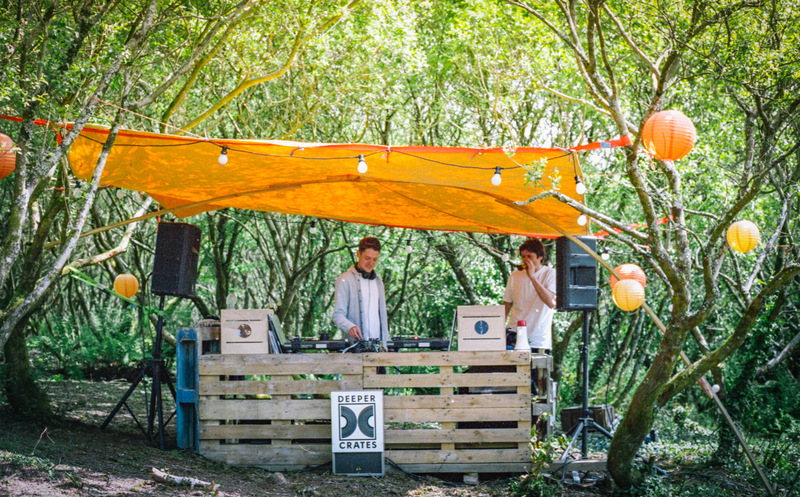 With regular sets from the local B-Side Social Club and guest DJ’s, they play anything from reggae to disco and maybe even sneak in some footwork. They’re there to enhance the space, to get you dancing without even realising you were, to open your ears to music you’d forgotten about, or maybe never even heard. Like all great DJ’s they read the crowd, ebbing and flowing with the vibes they get back. 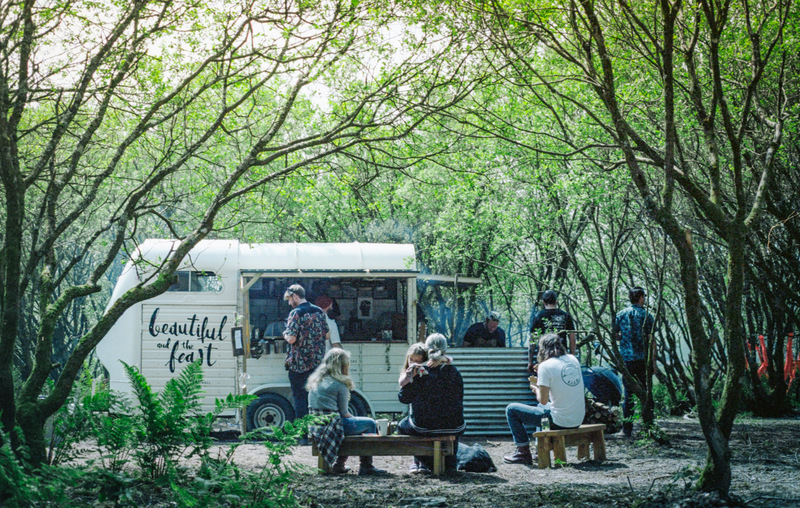 Local nomadic chefs Beautiful & The Feast provide a menu which gets anyone’s taste buds oozing. 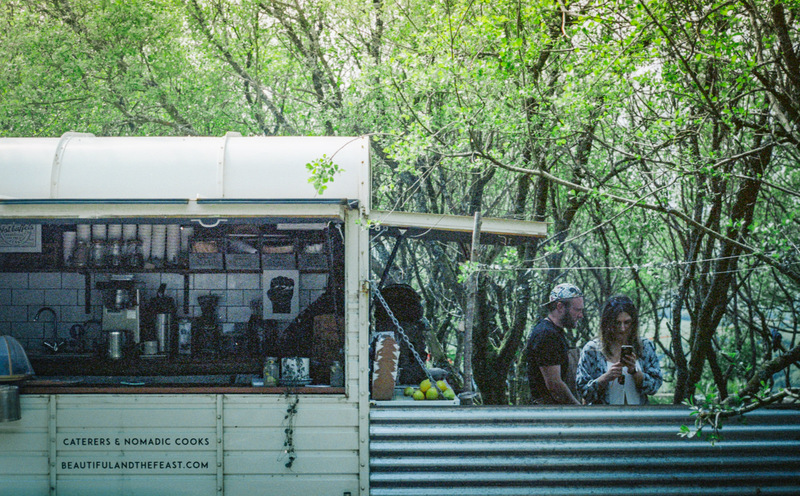 Their care and attention to their menus, presentation and coffee (it’s seriously great) is second to none, they offer exciting feasts to nourish and fulfil. Expect food cooked over an open fire, smoked in front of your very eyes and served with a seriously big smile. Sometimes pop-up bars seem to do anything but pop! The Kud bar however gets it just right, serving a mix of cocktails, beer and fizz they’ve got everything to see you through the whole afternoon. The fresh botanicals from site are used to flavour cocktails and decorate the bar. They even manage to keep it all cold, despite being totally off-grid! If you’re reading this, then I’d hazard a guess that you’re already intrigued by Kudhva and I know why. Louise has added her golden touch to what is already a breath-taking space. The fact that she has decided to share it with the community as well as guests makes it even more special. The Sunday Service Sessions stand up next to some of the best day parties I’ve been to, but what makes this even more exceptional is its inclusivity. You meet people you never thought you would, locals from the village, people from ‘up country’, children, grandparents, people looking to dance or people who just fancy lunch with a view. Summer 2017 marks the time I realised I was wrong about leaving London – culture and excitement do exist and sometimes in ways you never expected – you’ve just got to find them!